Razer’s Blade Stealth laptop has been very popular, but some wanted the 12.5 inch display to be slightly bigger. 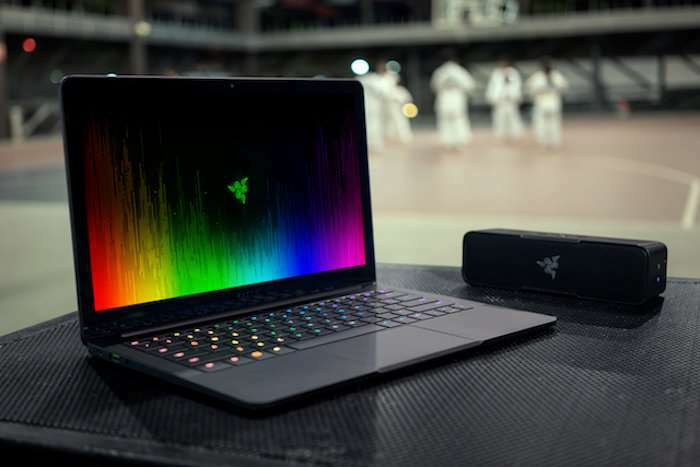 Well, Razer seems to have taken the feedback from its customers to heart because it has now launched a new model of the Blade Stealth that has a 13.3 inch 3,200×1,800 pixel resolution touchscreen display in a similarly-sized body. The new Blade Stealth model from Razer still has the half-inch thickness of its predecessor and nine hours of battery life. It weighs a bit more at 2.93 pounds as opposed to 2.84. Customers in the United States will be able to purchase the notebook in a new gunmetal gray color, but this one doesn’t have the bright green Razer logo. It has a subtler logo so that the notebook could even function in a business meeting and not look out of place. The 13.3 inch Razer Blade Stealth notebook has a 2.7 GHz Core i7 processor from Intel with 16GB of RAM and a 256GB SSD. It’s available for purchase right now from Razer’s online store for $1,399. The $999 12.5 inch model of the Blade Sleath will continue to be sold alongside this new model that has been launched today, so you can choose either version to suit your needs.